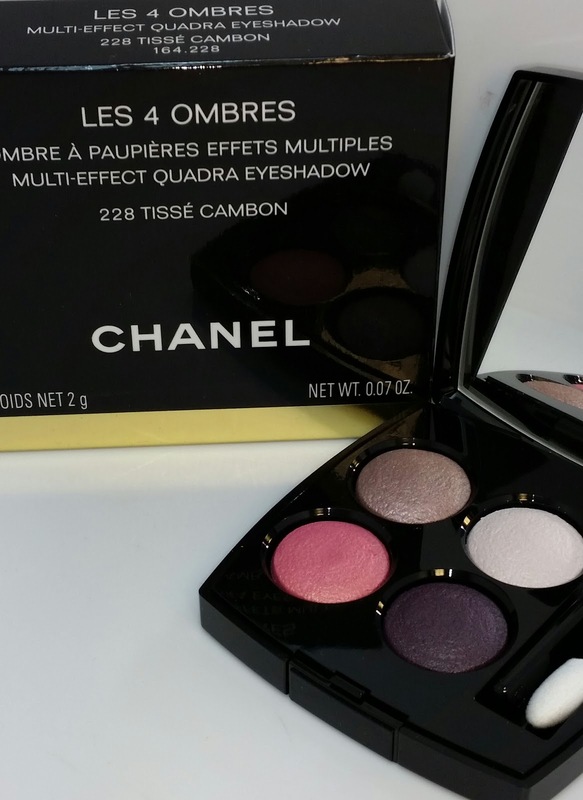 Later this year, Chanel will be releasing eight new Les 4 Ombres Multi-Effect Quadra eyeshadows. Check out the link below to read more about them. 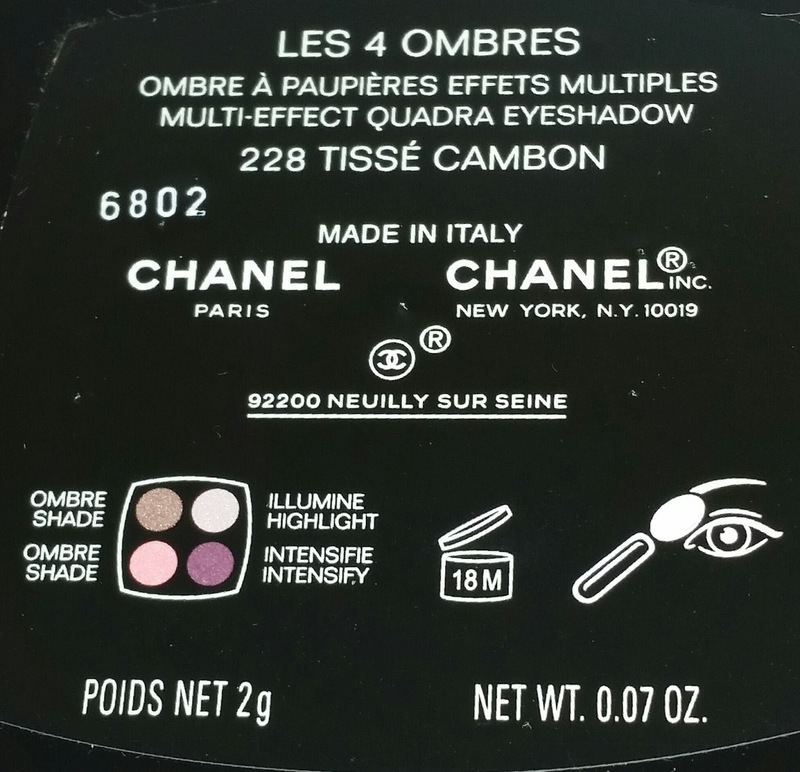 Anyway I had the opportunity to purchase one of the new Chanel Les 4 Ombres Multi-Effect Quadra eyeshadows in 228 Tisse Cambon. 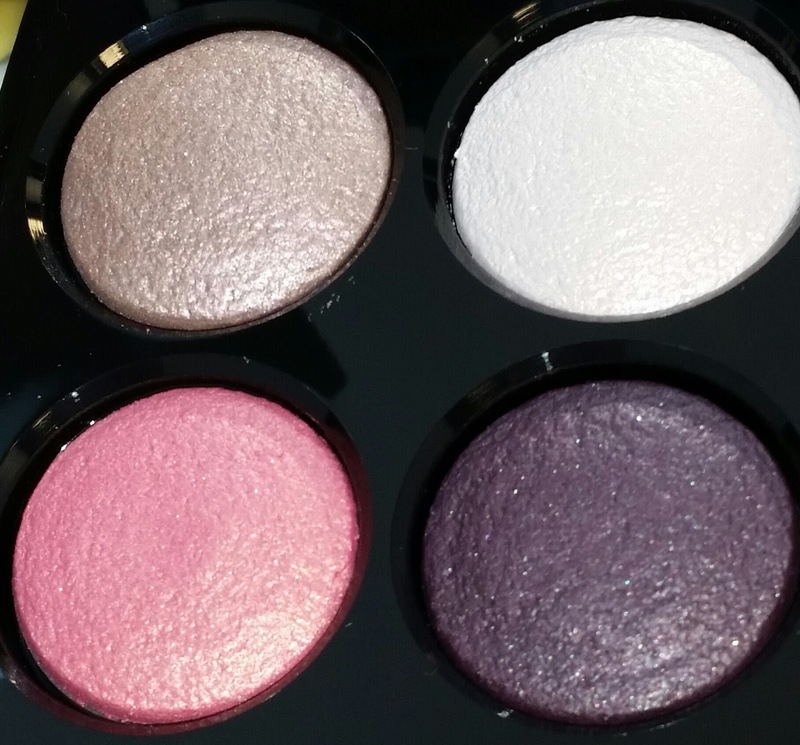 It is a quad of cool toned eyeshadows that can be used wet for an amped up intense look or dry for a soft and natural look. Check out the swatches below to see the differences in the color intensities. The top left shade is a shimmery pearly white with a satin finish. 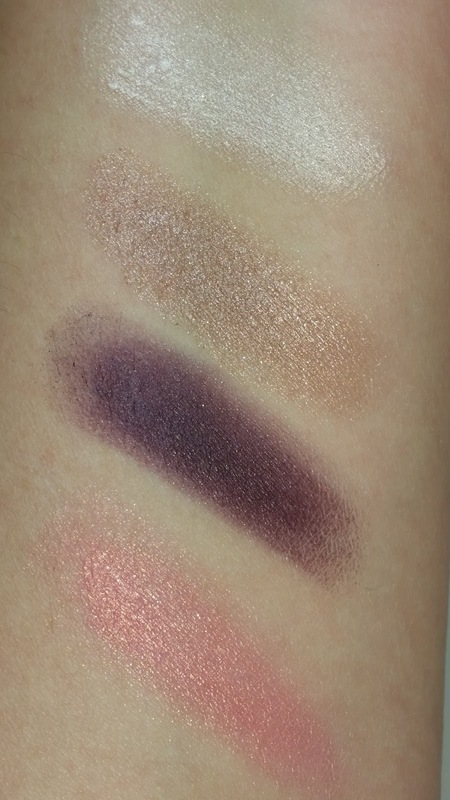 At first swatch it seemed rather sheer but applying more pressure increased the shadows color payoff. The top left shade is a sparkle-y mauve with taupe undertones and a shimmer finish. 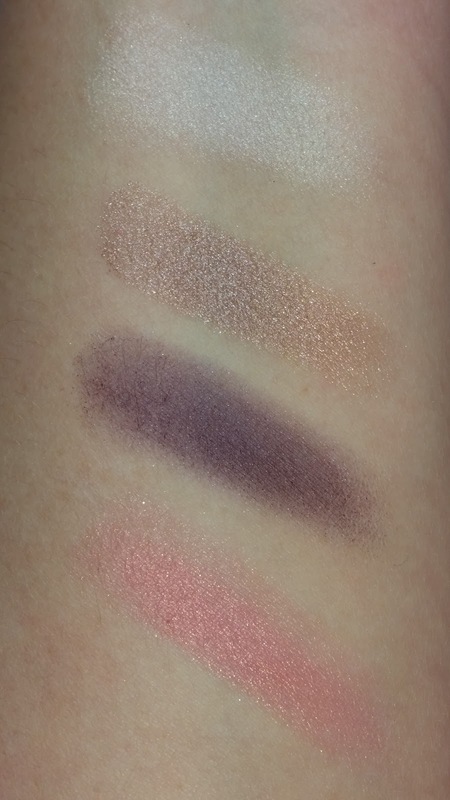 The bottom left is a smokey purple with a slight red undertone and semi matte finish. The bottom left is a medium pink with peach undertones and a subtle shimmer. Each of the shadows has a depth and color variation that is very unique. The Tisse Cambon quad contains a highlight shade, two regular eyeshadow shades (to be used for contrast or blended together) and one darker shade (can be used as a liner, crease color or an all-over the lid smokey eye look) to add intensity to the look. The formula is soft and build-able that increases with intensity as more pressure is applied when swatched and even more so when used wet. I found the wear time to vary depending on how the shadows were applied. Meaning when worn dry the shadows wore for about eight hours with significant fading but no creasing. When worn wet the shadows wore for about eight hours before slight creasing and minimal fading and lasted an overall wear time of about twelve hours.